Provide comfort for the family of Anita Wielechowski with a meaningful gesture of sympathy. Anita H. Wielechowski, age 87 of Franklin, passed away on Tuesday, April 9th, 2019 at the Karen Ann Quinlan Home for Hospice. Born on Staten Island to the late George and Mildred (Buttermark) Dente, Anita was a graduate of Seton Hall University and Fairleigh Dickinson University. Anita retired from Newton High School, where she taught Latin and World Cultures. Following her retirement, Anita volunteered to teach Latin at Immaculate Conception School. She was a member of the Retired Teachers Association, American and New Jersey Classical Leagues, National Education Association, and the New Jersey Educational Association. 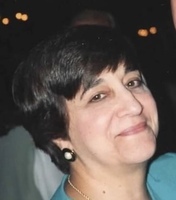 A Funeral Mass for Anita will be held on Saturday, April 13th, 2019 at 11:30 AM at the Immaculate Conception Church in Franklin. Entombment will follow in the Immaculate Conception Mausoleum. In lieu of flowers, memorial donations may be made to the Karen Ann Quinlan Hospice Foundation, 99 Sparta Avenue, Newton, NJ 07860. I had Mrs. Wielechowski for World Cultures. She was a wonderful teacher and I remember so much that she taught us. I still have the beat up copy of the book we used for the class. (The books were too "well-loved" to be used another year.) I have a statue of one of the pieces she taught us about and I will always remember her saying, "Nature abhors a vacuum." She was a lovely woman and an excellent teacher. Thank you, Mrs. Wielechowski, rest in peace.